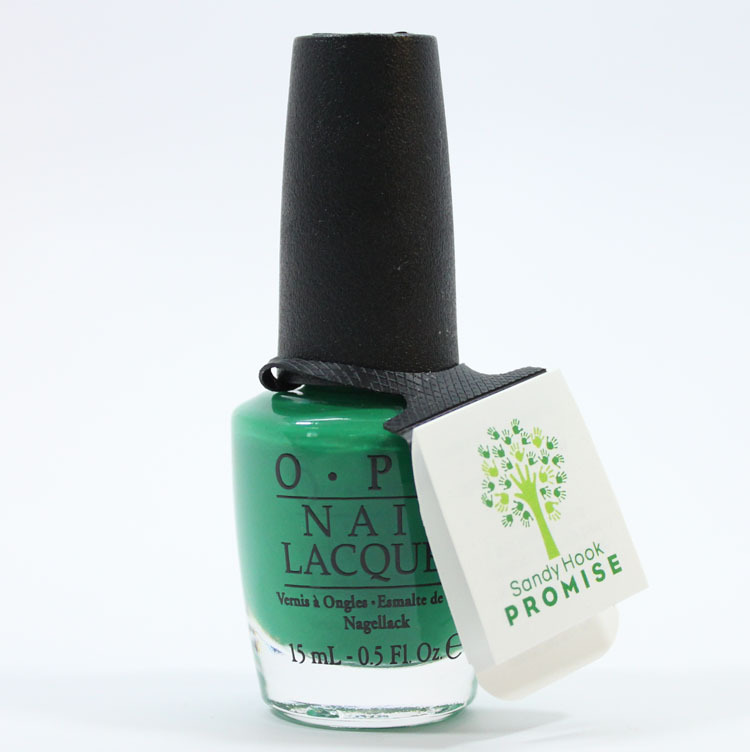 OPI Sandy Hook Green Nail Lacquer is a very special limited edition shade created for the people of Newtown, CT and those were who affected by the horrible mass shooting that happened last December at Sandy Hook Elementary School. Raise awareness and educate Americans on the causes of gun violence – with a specific focus on mental well-being and gun safety. Build a national network of Promise Communities committed to implementing local, state and national change via non-policy programs (programs that do not require legislative changes / laws). Bring experts together in real and virtual roundtables to identify sensible community based solutions, programs and best practices. There are some other items which you can purchase in their store as well that go towards the organization. 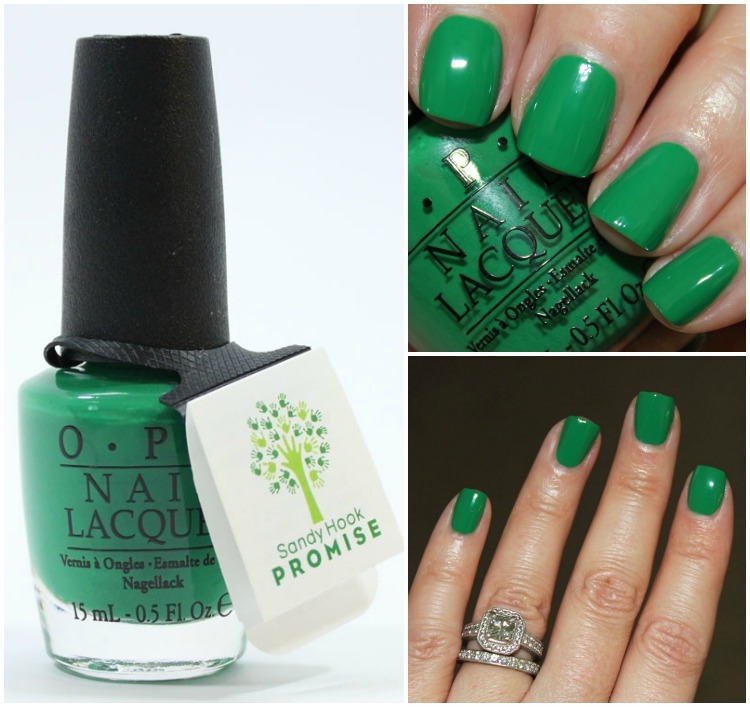 Sandy Hook Green is a gorgeous, vibrant green creme that is the same green as the school colors of Sandy Hook Elementary School. The color is really gorgeous and the fact that it’s for a great cause makes it even better. 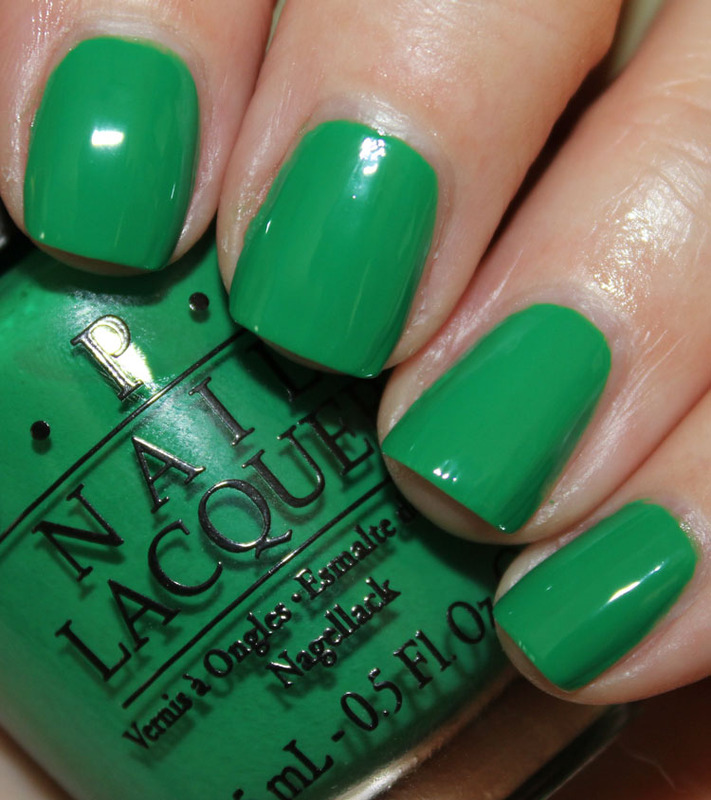 I am 99% sure I don’t have another OPI green this color. 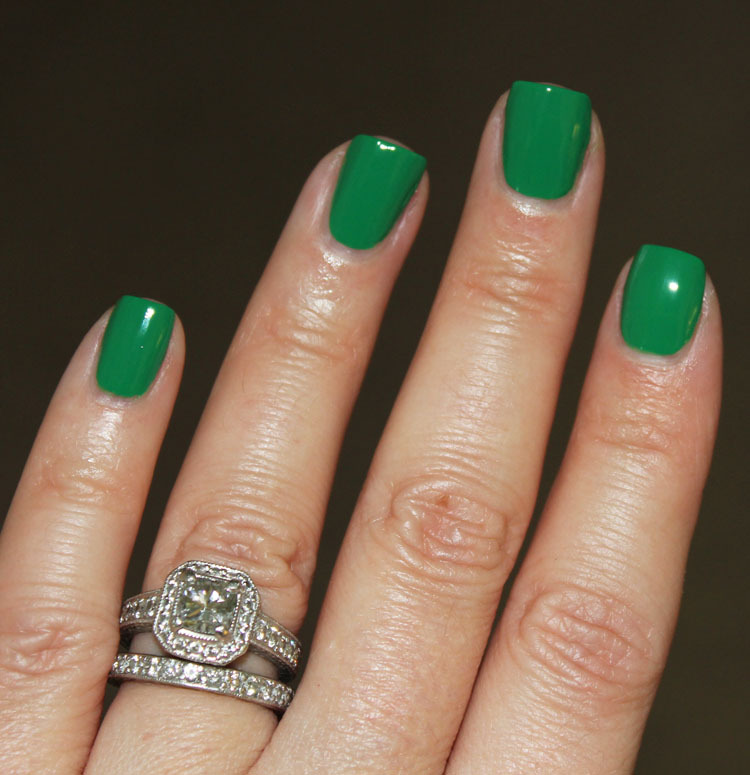 This was two coats and I had no application issues. 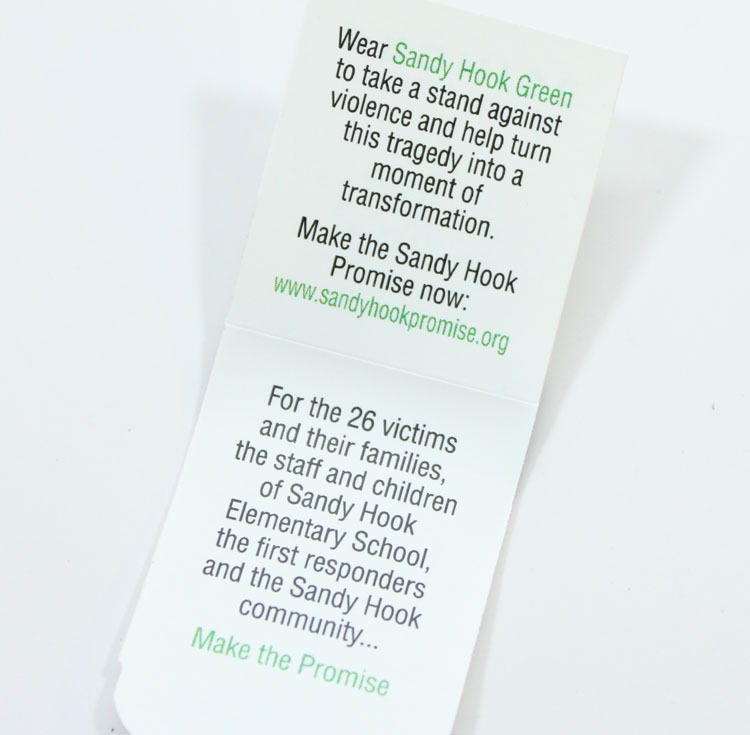 Pricing: $26.00 and your donation will help provide immediate and long-term aid to the Newtown community and allow Sandy Hook Promise to continue their work advocating for change by promoting an open dialogue about mental wellness, community connectedness and gun safety.